To stuff or not to stuff? Worry no more, Sunny's Stuffed Turkey Breast makes sure you can have your stuffed bird and eat it, too! 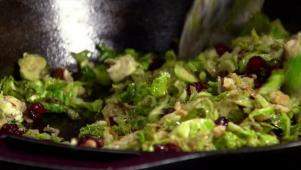 Her colorful Brussels Sprout Salad is a healthy side all your guests will love.